Here's what you, the fans, have demanded for decades! 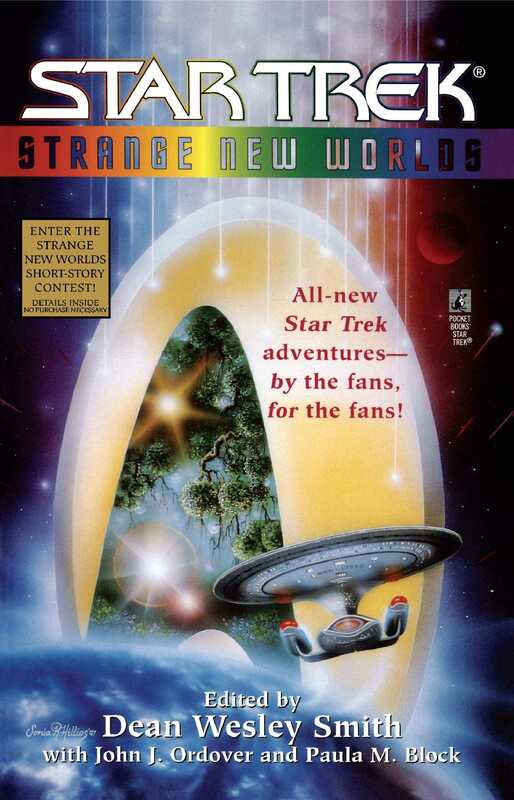 An anthology featuring original Star Trek, Star Trek: The Next Generation®, Star Trek: Deep Space Nine®, and Star Trek®: Voyager stories written by Star Trek fans, for Star Trek fans! After a lengthy competition that drew thousands of submissions; these astounding stories, written exclusively by brand-new authors, were selected for their originality and style. These eighteen fantastic tales rocket across the length and breadth of Federation time and space, from when Captain Kirk explored the galaxy on the first Starship Enterprise, through Captain Picard's U.S.S. Enterprise 1701-D and Captain Sisko's Deep Space Nine to Captain Janeway's Voyager, with many fascinating stops along the way. This all-new volume contains stories by: Landon Cary Dalton, Phaedra M. Weldon, Keith L. Davis, Dayton Ward, Dylan Otto Krider, Jerry M. Wolfe, Peg Robinson, Kathy Oltion, Bobbie Benton Hull, Alara Rogers, Franklin Thatcher, Christina F. York, Vince Bonasso, Patrick Cumby, J.A. Rosales, jaQ Andrews, Jackee C., and Craig D.B. Patton. Find out what happens in the Star Trek universe when fans -- like you -- take the helm!